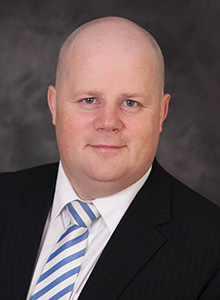 Michael is a native of Longford and has been with the firm since he qualified in 2000. A graduate of Portobello College Dublin, he holds an LLB. Degree. He practices primarily in the areas of Property, Personal Injuries, Family Law and Immigration. Graduate of Portobello College Dublin. Admitted as a solicitor in 2000. Outside of law his main social/sporting interests are soccer and rugby. He played with Longford RFC and is presently Vice Chairman of Longford Town F.C.